Montreal designer Natalie Tessier and her company Ga-Oh (Algonquin for "the god of the wind"), make elegant, strong, and practical bags from recycled sails and sail covers. No two are exactly the same: each has a label sharing details about its "source boat." See the Sailcloth Bag category on the website for all the designs available. Prices vary according to the design. An elegant volume that provides a two-page-format passage log section, guest log, and radio log. The maroon cover has a gold-stamped design which was taken from a navigation notebook circa 1785, now part of the Museum's collection. 8.5" x 11". Original, British-made, solid brass dividers with stainless-steel tips. Durable and sturdy. 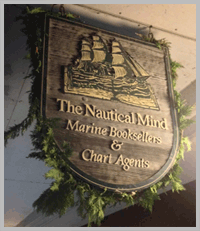 Used by professional navigators around the world. This gorgeous edition of Melville's classic tale is illustrated with 60 full-page watercolours by Russian painter Anton Lomaev, a member of the Academy of Fine Arts in St Petersburg. This unique deck of playing cards features Peter Markham's professional-quality photos of the most spectacular ships plying the Great Lakes. Chris-Craft has been building beautiful powerboats since 1874. Whether a varnished mahogany runabout of yesteryear or a contemporary sister ship, each one displays a recognizable design ethos, gorgeous lines, high quality, and style. A thoroughly researched, loving tribute to the company's outstanding contribution to boating life, this book features more than 200 vessels using never-published archival images as well as gorgeous color photos of special craft, plans and ephemera from Chris-Craft's own collection. Why do the tides surge when the moon and sun align with Earth? Why does the ocean stream in one direction for six hours, then flow the other way? Why does one Alaskan Bay see frequent skyscraper-sized tsunamis? William Thomson answers these questions and more, emphasizing why it's important to keep our oceans healthy and full of life. A board game designed for both beginners and experienced sailors. Combines the strategy of a sailing race with the popular concept of a trivia game. Changing winds, tides, tacking, racing strategy, and nautical knowledge are all combined and with the roll of a cube determine whether the driving force that propels your boat will be by knowledge or by chance. Will challenge sailors of all ages and anyone with a desire to experience the sport of sailing. 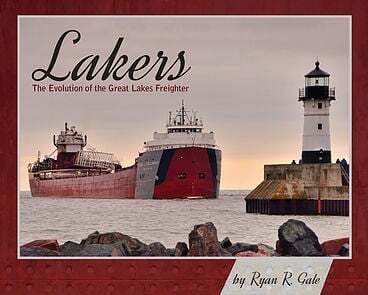 This 300-year journey follows the evolution of freight-carrying vessels on the Great Lakes of North America from the wooden tall ships of the 17th and 18th centuries to today's steel giants. Gale also traces how geography, weather, and technology have influenced how the lakers evolved. Tristan Gooley is an expert in navigating using only the natural world itself. In his latest book, he turns his attention to techniques to use on or near water--which he learned by sailing solo across the Atlantic, navigating with Omani tribespeople, canoeing in Borneo, and walking in his own backyard. Anglers, sailors, swimmers--all can learn how to find north using puddles, forecast the weather from waves, decode the colours of ponds, spot dangerous water in the dark, and more. This charmingly illustrated collection of 36 iconic boats and their remarkable stories ranges from Slocum's "Spray" and Casanova's gondola to the "Bluenose" and the Pardeys' "Seraffyn", covering a wide sweep of boat lore from the 19th to the 21st century. This is a perfect book for readers interested in sailors who have voyaged on the oceans of the world and the vessels that took them on their adventures.